Amethyst Falls displays tight clusters of fragrant, purple flowers in early to mid summer that hang among the gray green foliage. 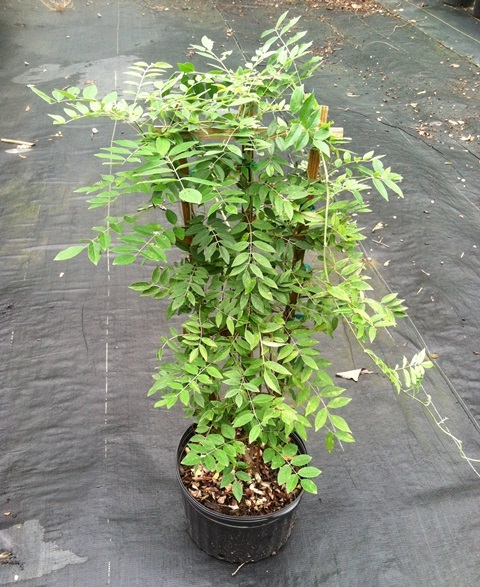 This is a non-invasive wisteria that prefers full to partial sun. Blooms on new wood.